A variety of textures in green simply complements the stone clad façade and provides refreshing passage. 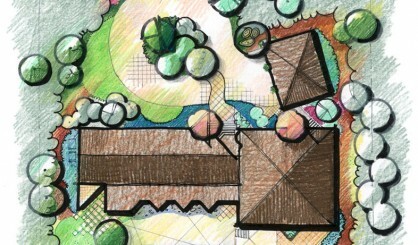 SPROUT collaborated with the architect to blend this residence into the indigenous landscape. The construction envelope preserves as many existing trees and native understory plants as possible. 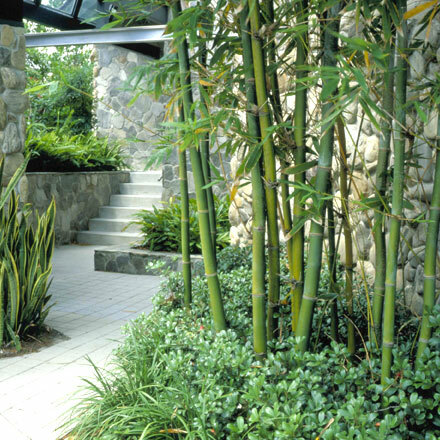 Native plantings supplement the existing landscape to attract wildlife and to separate the property from the surrounding residences, attaining a complete sense of privacy. Carefully chosen exotic species complement the stone clad modern architecture. A gently curving Mexican pebble beach adjacent to the pool patio cleans and absorbs excess storm water. 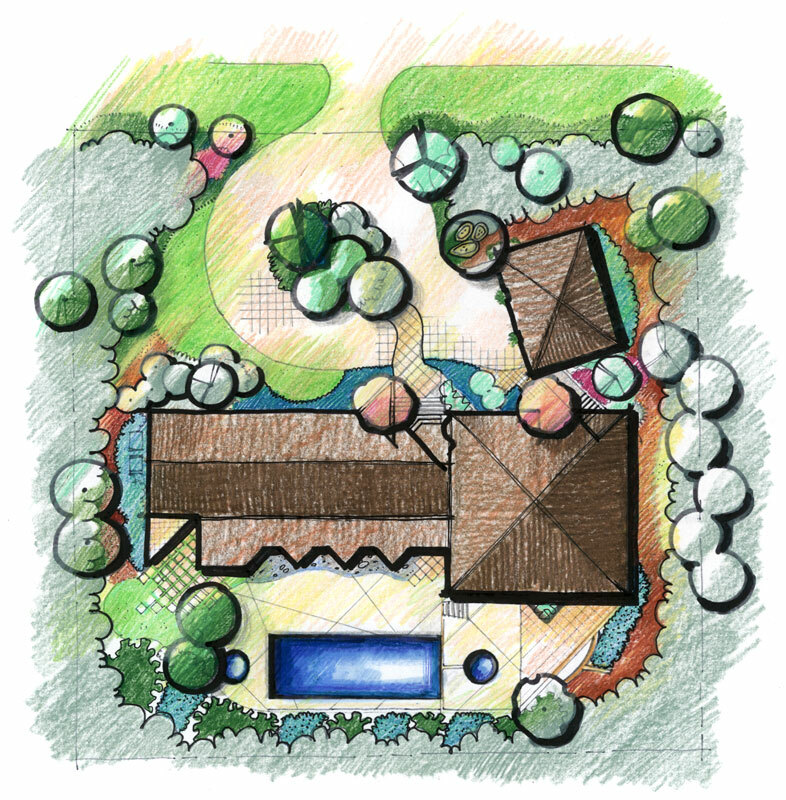 Continuing maintenance consultation ensures that the original design intent evolves with the maturing landscape.